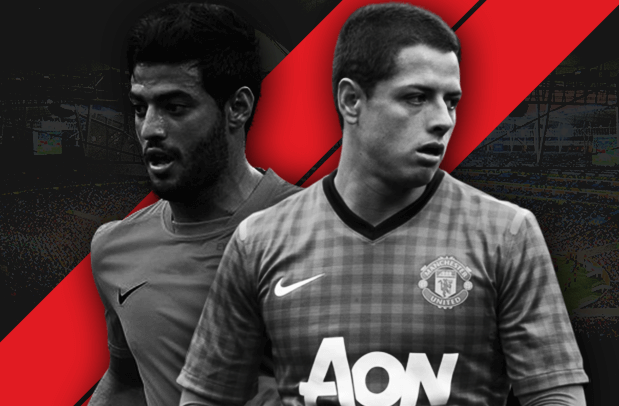 The Mexican attacker was once considered one of the brightest young talents in football, having begun at Barcelona. Moves to teams like Tottenham have followed, but Dos Santos never managed to make a mark at these clubs. he’s a well traveled player, but his best form has been seen in recent seasons, at Villareal and now at Galaxy. Dos Santos is mainly a creative player. Though he thrives when played behind a striker, he can also operate in the wide areas. He’s already notched up 3 goals and 5 assists for Galaxy since signing for them in July. The player is currently facing international exile, but has won many trophies with El Tri, including Gold Cups, and most famously, the Olympic Gold Medal at London in 2012. 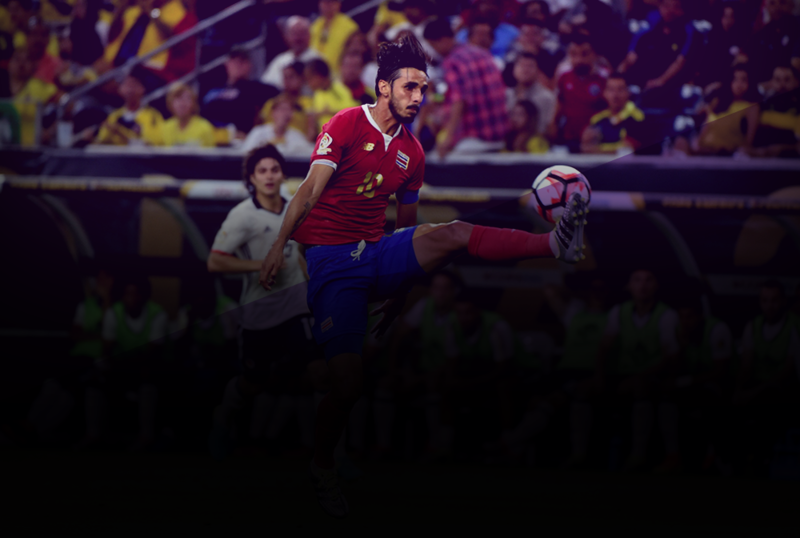 The Honduran international right winger, who also featured in our list of the 10 best young players in world football, as the North American representative. The winger began his career in the USA at DC United, and impressed many as he broke into the first team at the age of just 17. His excellent performances won him the rookie of the year award in the MLS during his debut season. In 2012 he made the move to Europe, signing for Anderlecht. He’s been a fixture on their right side ever since. Najar is an old school right winger, someone who loves to beat his man and put balls into the box. As the standout talent in the Honduras team, his importance to their hopes cannot be understated. His performances for the national team, and his club side have been incredible this past year. While Anderlecht fell away in the playoff rounds for the title, it was definitely not due to a lack of effort on Najar’s part. The Honduran scored 4 goals and set up 2. Even in the Gold Cup, where Honduras disappointed, Najar was the player that scored their goal in the one game where they picked up a point against Panama. One of the most talented strikers to emerge from the USA, Altidore has had a slightly inconsistent career. He broke through as a 16 year old at New York Red Bulls, and scored a lot of goals, breaking records for the youngest player to score and appear in MLS Playoff matches. This won him a move to Europe, with Villareal investing in the youngster. His transfer fee was the highest paid for an American player, and reflected his growing status in the USA. After 18 months on loan, He then moved to AZ Alkmaar in The Netherlands where he enjoyed the most successful spell of his career to date. A move to Sunderland followed, but this was very unsuccessful. 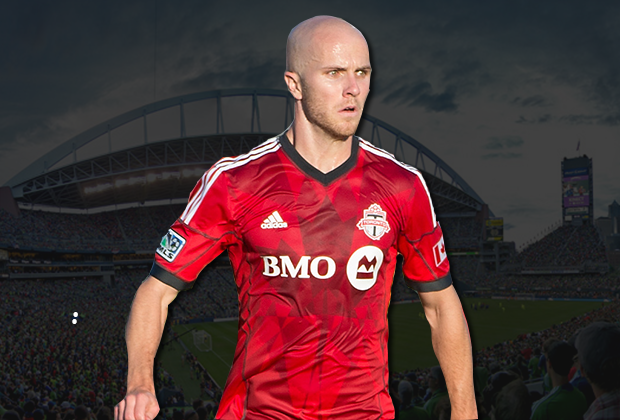 This January saw him return to MLS, in exchange for Jermain Defoe. He’s made a fair impact at his new club, scoring 13 goals in 25 MLS appearances. Altidore is a brute of a striker, with great power and pace being the attributes that allow him to dominate the opposition defenders. Wherever he’s gone, this has been something that has always been in his favour. His finishing has always lacked a little bit, but of late, he seems to have matured, and his scoring record has improved to a large extent, with 1 in 2 being his current rate. Probably the most famous, and best loved of all the players on this list, Chicharito started his career at Chivas Guadalajara in 2006. He eventually moved to Manchester United in 2010, and established himself as a cult hero, with one of the best goals to minutes ratio in the history of the Premier League. 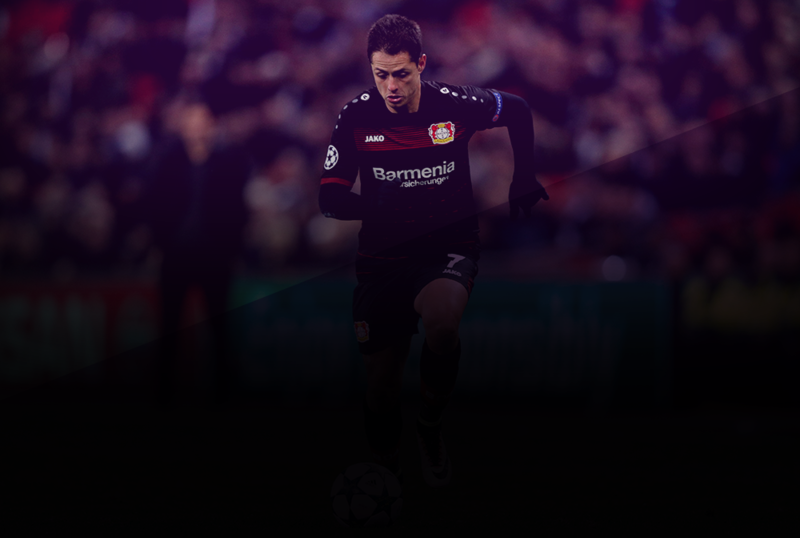 Chicharito became known for his lethal finishing ability, and tendency to be in the right place at the right time. Much to the dismay of United fans, he’s fallen out of favour with Louis van Gaal, and is currently at Leverkusen after a loan spell at Real Madrid. Personally, 2015 hasn’t been the happiest move for the Little Pea, as he was basically shunted out of united by van Gaal, but he’s redeemed himself with some brilliant performances either side of the summer. He hardly got a look in at Real Madrid, but ended up scoring some crucial goals, including the decider against Atletico Madrid in the Champions league quarter final. With United, and van Gaal in particular, looking keen to ship him out, a number of clubs fought for his signature, but Chicharito eventually moved to Leverkusen. He’s finally settled in at the club, scoring 10 times in 13 league games, continuing his amazing record. A hattrick in the recent of Gladbach has been the cherry on a thoroughly enjoyable cake for all Leverkusen fans. The all action former AS Roma midfielder is the second FC Toronto player to make it onto this list, and is currently captain of that team. Bradley is a well traveled player, and has played in England, Germany, and Italy during his time in Europe. He eventually returned to the MLS at the start of 2014 alongside new signing Jermain Defoe, and has been a mainstay in the Toronto midfield ever since. The great thing about Bradley is that he isn’t just a good player on the pitch, he’s an excellent leader on and off it too. Having been named captain in 2015, he was instrumental in the signing for Jose Altidore, a player that has made a huge impact on the club. Bradley isn’t really a great goalscorer, with just 5 goals in his 25 appearances, but is a great metronome in the middle of the park. There is no shortage of energy in him, and his passing is pin point accurate more often than not. Aside from this, he can also be a snarling presence in the middle that is sometimes required, and certainly doesn’t lack the enthusiasm to dive into a tackle. One of the American soccer idols, Dempsey is currently plying his trade at the Seattle Sounders having had previous successful spells at Fulham and Tottenham, especially at the former, where he became the club’s top scorer in the Premier League. He forged a lot of memorable moments at Craven Cottage, helping them to reach the Europa League final as well. He eventually moved to the Seattle Sounders after a season at Tottenham, making an important place for himself on their team. He’s been an important player for Seattle Sounders all season, scoring 10 times, and assisting 9 times in 20 appearances. That is certainly a fantastic record, making him involved in a goal almost every game. He mostly does, and mostly has, through his career, play as a second striker at club level, looking to involve himself in build up play as well as make runs around the main target man. This is the sort of play that has worked for him throughout his career, and it is successful only because of the intelligence he shows in his running. One of the best strikers in Mexican football at the moment, Oribe Peralta has been around with the Mexican team for a number of years now, but only recently became a regular selection. the striker is famous among fans of El Tri for the brace he scored in the final of the 2012 Olympics to win the gold medal for Mexico against a fancied Brazil team. Having been around in Mexican football for some time, Peralta has represented a number of clubs from the Liga MX, but is now one of the important players at Club America. He isn’t a prolific goalscorer, but Peralta is always a threat in front of the opposition’s goal, with his creativity and link up play offering a different dimension to his game. His return in terms of goals hasn’t been so spectacular in both the Apertura and the Clausura. 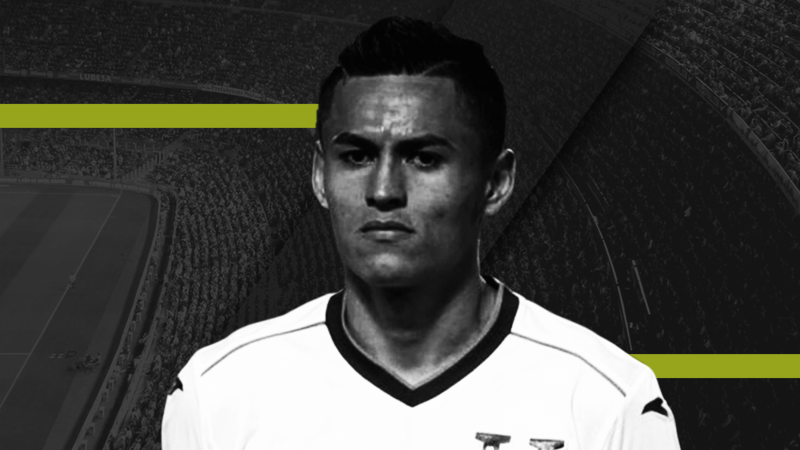 He scored 5 in the Clausura, and currently has 7 in 16 appearances in the Apertura. The Brazlilian born midfielder has finally begun to express his talents on the big stage this, after a number of disappointing spells in Europe. In the past, Feilhaber struggled to make an impact at teams like AGF Aarhus, Derby, and Hamburg. he eventually returned to the USA to play for the New England Revolution, and after a season and a half there, he moved to his present haunt- Sporting Kansas City. Feilhaber has always been a talented midfielder, but he’s really taken in to a new level this season, emerging as a mainstay in midfield for his team. In his 32 appearances for the team, he’s weighed in with 10 goals and 11 assists, making it his most prolific season in terms of the numbers by a long margin. More importantly, he’s emerged as a creative lynchpin for his team, with most of the play going through him. This is the kind of responsibility, and role he has always been capable of playing, and is finally performing to potential. With the recent departure of Iker Casillas to Porto, it was widely expected that his place in the team would be taken by Keyloe Navas. The Costa Rican, who produced some heroics in the World Cup, was going to serve as a makeweight in the deal for David De Gea, quite against his will. Fortunately for him, the deal fell through, and Navas has now established himself as the number 1 at the Bernabeu. The transfer saga shouldn’t take away from his hard work though. 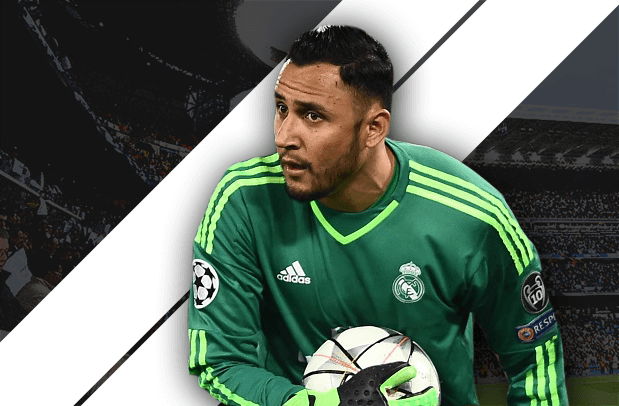 Navas was initially signed to replace Diego lopez, who left for AC Milan, and he proved to be a more than capable deputy for Casillas. So far this season, he’s kept 9 clean sheets in 13 appearances. His incredible reflexes have to get a lot of credit for that, along with the rest of the Real Madrid defence. The Costa Rican may not always be the most fancied keeper around, but he’s very effective with his shot stopping, and at the end of the day, that’s what counts. A versatile player, Guardado can play effectively in a number of positions. Mostly though, he plays on the left side of the team, wither as a winger, or as a left back. He has played in Spain, Germany, and is currently at PSV Eindhoven in The Netherlands. He moved to the club on loan at the start of last season, and really endeared himself to the fans there. This worked to the extent that they unfurled a banner asking him to stay at the end of last season, amidst rumours of a move to Ajax. At PSV, he’s been a runaway hit. His game intelligence is excellent, and he’s gone on to win the Eredivisie at the first attempt. He’s often started as a defensive midfielder this season, shielding his back 4. It’s worked well, with him putting in some good shifts, such as the one at Old Trafford in the Champions League draw that was so significant for their progress.